By now, everyone has heard the old adage, “No one in the world needs an elephant tusk but an elephant.” The truth of this adage is indisputable–No human needs elephant tusks. But unfortunately, it seems that a lot of humans want them. 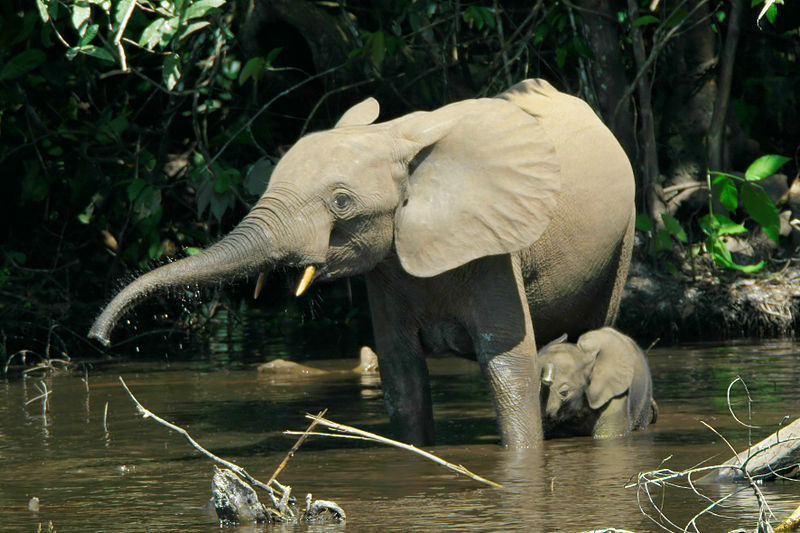 New data collected from Central Africa shows that between 2002 and 2013, 65 percent of forest elephants were killed. And they are not being killed because they are encroaching on human territory or causing a hazard. They certainly aren’t being killed because they are overpopulated. Rather, poachers slay them for their ivory. Every year the population decreases by a horrifying 9%. As an aside, there are some 7 billion people on the planet, so this would be equal to slaughtering 630 million people each year, which is about 550 million more each year than were killed during the entirety of WWII. The forest elephants already have numbers that are less than 10 percent of their approximate historical size. Moreover, these elephants occupy a territory that is just a quarter of the size that they once roamed. So asserting that their deaths are justified is entirely untenable. Unfortunately, it seems that Dr. Robinson’s statements are all too accurate, for we have witnessed species after species fall to extinction. In 2013, the latest review of animals and plants by the International Union for Conservation of Nature found that the Western Black rhino had been totally wiped out. By 1980 the population was estimated in the hundreds. By 2000 only an estimated 10 survived. In 2006 a survey of the last remaining habitat failed to find any Western black rinos. Dr. Fiona Maisels, one of the researchers releasing the new data, states: “At least a couple of hundred thousand forest elephants were lost between 2002-2013 to the tune of at least sixty a day, or one every twenty minutes, day and night. By the time you eat breakfast, another elephant has been slaughtered to produce trinkets for the ivory market.” Ultimately, 95 percent of the forests of the Democratic Republic of the Congo are almost empty of elephants. These statistics are extremely troubling. Though extinction is natural, this process is currently fueled by human actions. In the Americas, 80% of large animals became extinct around the same time as first Western humans arrived. Of course, many species went extinct before humans arrived, but (as the previous statistic indicated) we have caused the numbers to skyrocket due to deforestation, habitat destruction, light pollution etc. Where elephants are concerned, we are not talking about a naturally occurring process. Watch an amazing video on forest elephants below. Also, recycle. Our waste is getting out of control, and many products do not decompose in dumps. When I say “recycle,” I don’t just mean plastic bottles and glass. I mean everything–clothes, old plywood, inkjets, cell phones–everything. See this site for some details on how you recycle and also raise funds. Next, push for cleaner forms of energy. Call your legislators and insist that we change the system. Ride a bike whenever you can, push for public transport, and advocate for the banning of cars whenever and wherever possible (in cities and other major metropolitan areas). Look into sustainable agriculture. Abandon anthropocentric ideologies. Realize that humans are not the kings of Earth. Investigate over population, and accept that we need to start making smart decisions now in order to ensure that we have a future. And don’t ever, not ever, buy ivory. Is Music In Our DNA?